Sounds like you have a sticky situation there. Thanks for replying Keith my modelling has taken a bit of a back seat this year. I just though we might have had some new members posting stuff. Having said that, I've been sorting out my T-rex 450SEV2 that I kited out with the Align 3G. It now has full Align drive train mechanics. 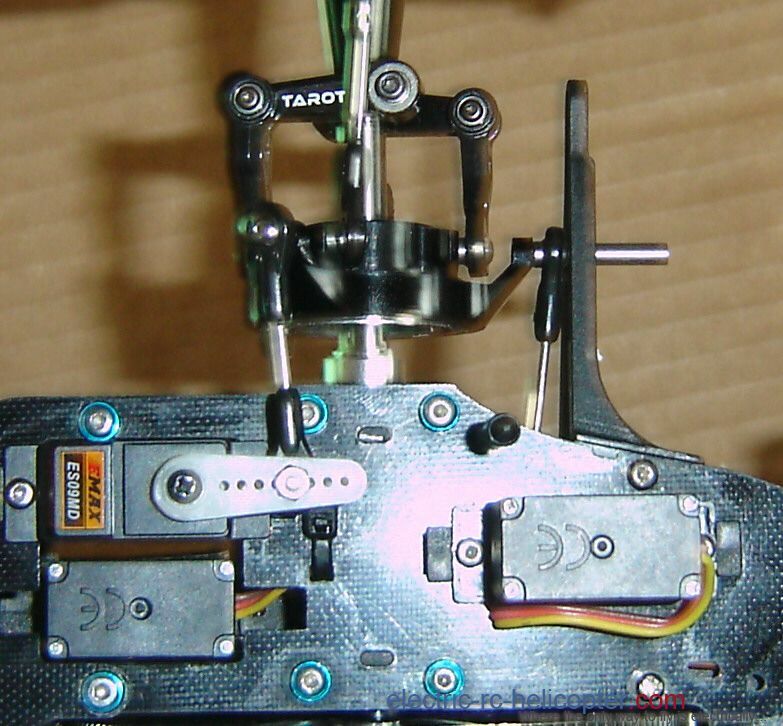 Got a new Tarot DFC swashplate, real nice piece of engineering, however, the arms are too long and splay the servo link rods. Trying to source a black metal Hobbyking T-rex clone 450SEV2 swashplate. I have two three but their on other rotor heads and not black, I could paint one. Parts are getting difficult to find now. I might upgrade the air frame to a clone T-rex 450 Pro frame or maybe a genuine Align 450 Sports frame. Hi Burgess, yes I'm finding that T-Rex or clone parts are getting harder to find, the Australia agent closed down and after a couple of month one of the other on line stores took over but they only stock the newer stuff from 450L onward, no Pro parts or anything else. The New Zealand supplier still has older parts. I'm about to sell my 450L while it still has some value, it's a great helicopter but I'm playing around with KDS Chase 360 and Compass Warp 360 at the moment, although having said that while the Chase parts are readily available from Honk Kong Warp parts are worse than Align parts at the moment. My actual flying has gone down hill a bit lately I think I'm having Depth Perception issues, I'm going to have to have that looked at. Hi Keith, hope you get your perception issue sorted. I had a look at the KDS Chase 360 and Compass Warp 360, and like the drive train designs. Both the Chase & the warp are fully belt drive very quiet to fly, they both have very robust designs, shown in the attach an old Blade 400 feathering shaft 3mm, an Align 450 shaft 4mm and a Chase shaft 5mm the Warp shaft is thicker again at 6mm but made from an alloy so not as strong. A unique feature of the Chase is the battery loads through the bottom so you don't have to remove the canopy. PS the Chase shaft is not bend just a bit of optical distortion.